Hello hello! You've come to the right place! I love children, and I love teaching! I have worked with children my entire life, from babysitting to being a camp counselor, to becoming a certified teacher. 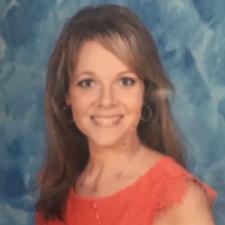 I have 20 years of educating students ranging from Kindergarten to high school, in reading, writing, vocabulary, grammar, test prep, etc! I am certified in K-12 English, K-8 General Education, and currently going back to school for my special ed certification. I also have two children of my own, so my teaching style is a mix of nurturing and fun! Teaching/tutoring English is my specialty. I am familiar with a range of books and genres and have been teaching essay writing for 20 years. I am an expert in grammar/linguistics and improving vocabulary as well. I majored in English Writing and have a Master's degree in English Education. I also have many years teaching/tutoring literary analysis to middle school/HS, and middle school ESL children as well. Please consider contacting me to schedule a tutoring session. I am a friendly, easy going, knowledgeable teacher who will always give an honest evaluation. You will not be disappointed!! I have a standard certificate to teach grades K-8. I also have an Teacher of English certificate for grades K-12. I have been a middle school teacher for 18 years. I currently teach Reading and Writing to grades 6-8, and have taught Basic Skills ELA/Math to students ranging between 11-14 years old. I have 18 years of experience teaching reading and writing to children in the K-12 setting. I have a standard license grades K-8 and a Teacher of English cert. for grades K-12. I am highly qualified and training in reading/writing workshop, ad have extensive knowledge teaching essay writing and standardized test prep. I have an Undergrad BA in English Writing and a Master's in Education. I am a K-12 Certified Teacher of English. I have been employed with the Education Testing Service for over ten years, scoring the Praxis exam for potential teachers. I do this online about once every other month. In one session, I score about 100 applicant essays. She is very patient and extremely helpful. She will hold your hand and guide you....I had issues with my computer and she even helped with that. She really cares... Life Saver!